A true urban village, Bègles is in constant motion with the community modernising and growing greatly over the past few years. The municipality sits on the left bank of the river Garonne and moves inland to the East. Bordering neighbourhoods include, Villenave d’Ornon to the South, Talence to the West and Bordeaux CBD directly to the North. The development of this commune has seen new neighbourhoods emerge and many renovations of traditional Bordelaise échoppes being a driving force for bringing new residents to the area. Along with business and local commerce development, the suburb offers a great inner city living option. 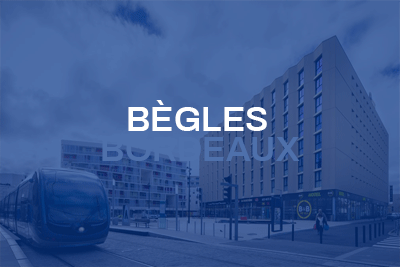 Strategically located, Bègles benefits from a close proximity of excellent transport networks. With a growing younger population, the town is well severed with childcare, school and sporting facilities. The city also is the official home to Bordeaux’s professional rugby team, the Union Bordeaux Bègles.